With everything greening up around us, it’s hard to resist the urge to overseed your lawn, especially if you have bare batches. You’re planting annuals, starting your garden from seed – it seems logical to grab some grass seed while you’re at it, right? RESIST the Urge! It’s the wrong time of year to start new grass from seed. Period. No wiggle room here. Why? When it comes to grass, you’re setting up new growth to go into the most stressful season of the year, summer. It’s doomed to fail. New growth doesn’t have the root system to withstand the heat of long summer days followed by no real drop in temperature at night. It’s impossible to keep the top ½” of soil moist enough to sustain the nascent root development. Even if you have irrigation. Even if it’s a “wet” summer. The alternative, while still not ideal, is to lay sod in bare areas if you simply must have grass now. The REAL answer…take a deep breath and wait until late summer or early fall to overseed. 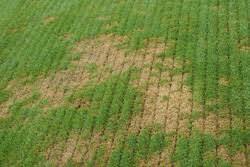 More on fall overseeding here http://swurl.it/N0R4A , but let’s continue the list of ills related to spring seeding for now! You know the crabgrass and broadleaf weeds that you work so hard to control so they don’t take over your lawn all summer? Forget about it if you overseed in spring. Why? Young turf cannot handle broadleaf weed control, so you can’t put it down unless you want to kill the new growth even faster than the summer heat will. 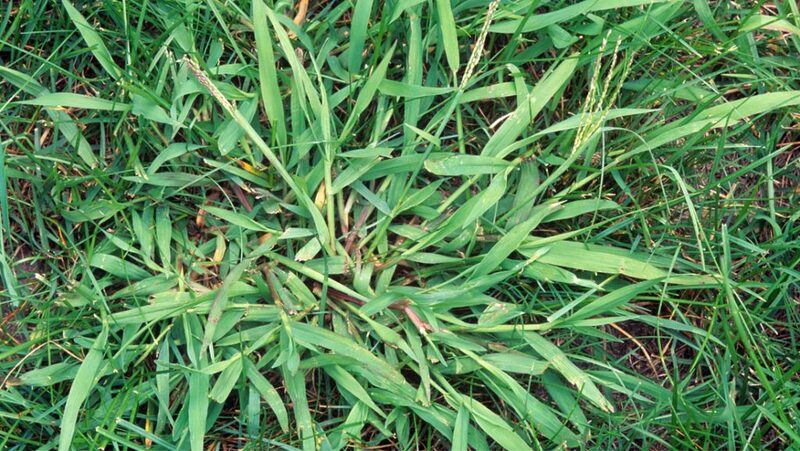 What about pre-emergent crabgrass control? Well, it’s designed to suppress the growth of seeds. It doesn’t discriminate between grass and weed seeds. A seed is a seed. So, you can’t put it down and expect grass seed to germinate and weed seeds not to germinate. Just doesn’t work that way. What does that mean for your lawn? 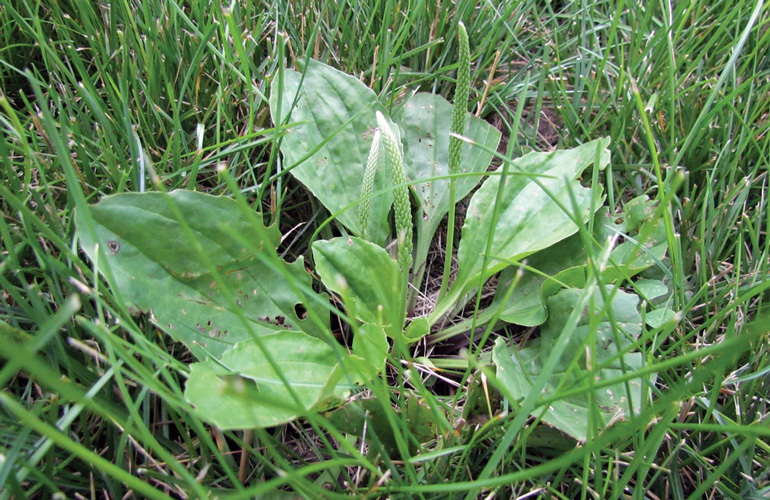 While your effort to get new grass established was ultimately going to fail come summer anyway, you’ve now also created a clear path for weeds to take over your lawn. But you’re probably not done yet. If you’re planning to overseed, you’re probably planning to fertilize too, right? RESIST the urge, even if you don’t overseed. Why? Just like overseeding, fertilizing is not a spring event. Yes, you read that right. Don’t fertilize in the spring. No, we’re not crazy. Think about it. Fertilization is all about feeding the root systems of plants. Your newly planted grass seed…it doesn’t have established roots yet. Your weeds, on the other hand, are just waiting to be fed. What about your established grass, you ask? Now think about this combination: not putting down weed control or preemergent control because the new grass seed can’t handle it + now you do put down weed feed, I mean fertilizer. What does that equal? A yard full of really strong, really happy rampantly growing weeds all summer long. You could have that with no effort at all, and with much less money spent and water wasted! The take away? Overseed in late summer or early fall. Any other time over year is counterproductive on every level. 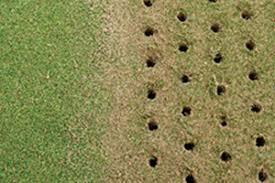 Call Prolawn at 540-662-8316 to discuss Aeration and Overseeding Services. We typically start in Late August, depending on the weather! and is a great first step before overseeding.